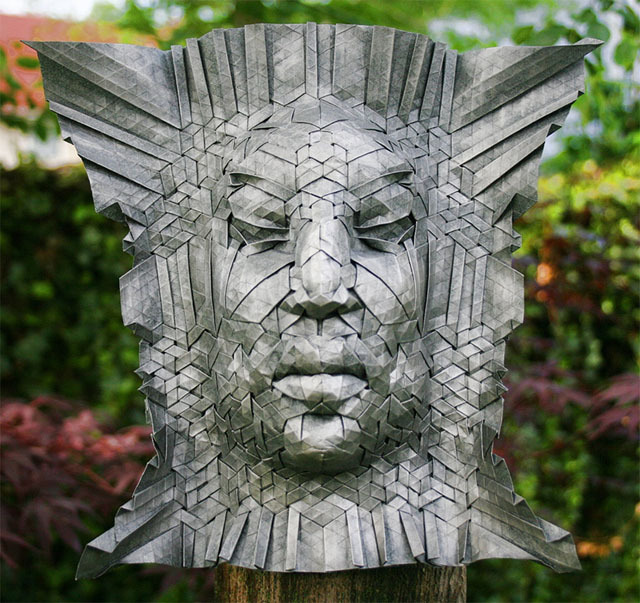 Artist Joel Cooper uses an origami technique called tessellation to make ornate masks that are covered in intricate textures and patterns. 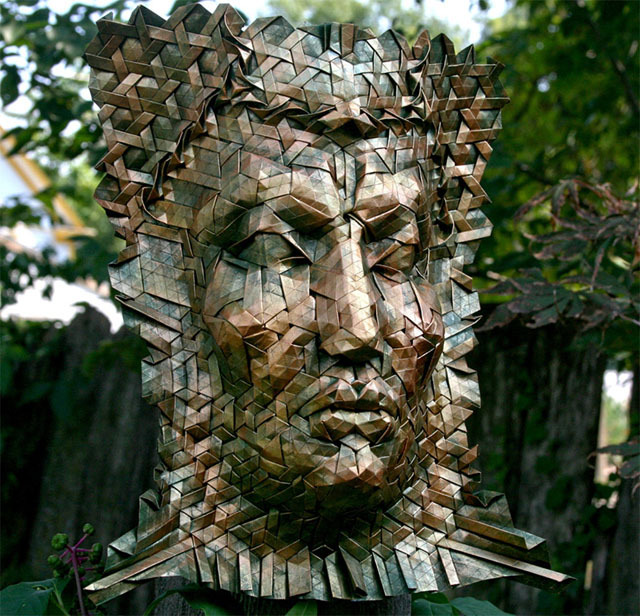 Each mask is folded from a single sheet of paper (he’s posted a how-to on his blog). 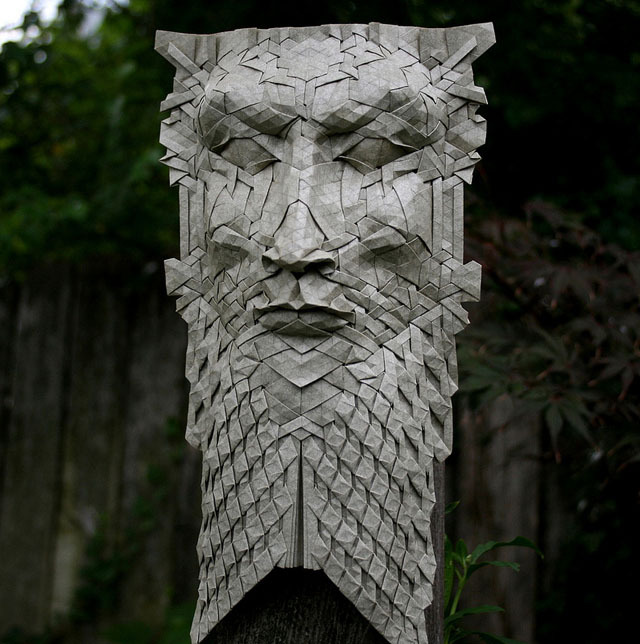 The tessellation technique can be used to create the illusion of a weaved pattern, as well as ridged corrugations and other repeating geometric patterns. Cooper’s masks are available for purchase.